TMZ Sports reports that at least one witness says Dennis was spotted at a bar, singing karaoke before the crash. They did not however mention if the bar in question was in Santa Ana. Rodman is an American retired professional basketball player, who played for the Detroit Pistons, San Antonio Spurs, Chicago Bulls, Los Angeles Lakers, and Dallas Mavericks in the National Basketball Association (NBA). He was nicknamed “The Worm” and was known for his fierce defensive and rebounding abilities, according to Wikipedia. 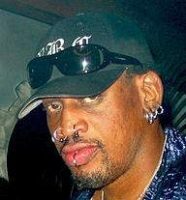 Rodman used to live in Newport Beach. He endorsed Republican Presidential nominee Donald Trump a year ago, according to the O.C. Register.